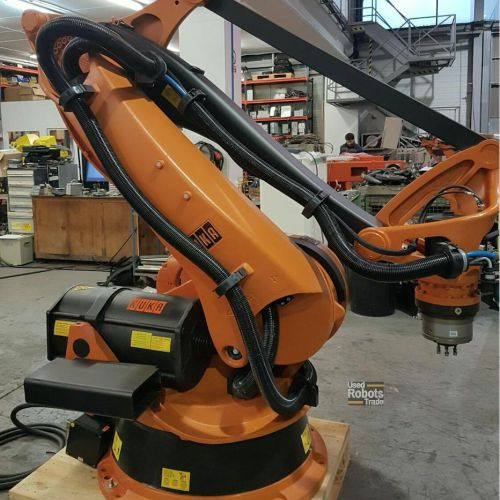 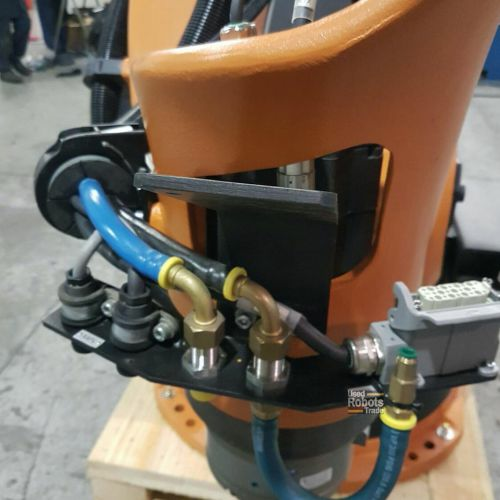 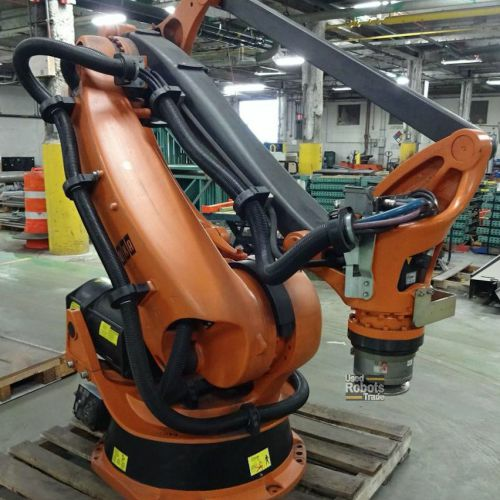 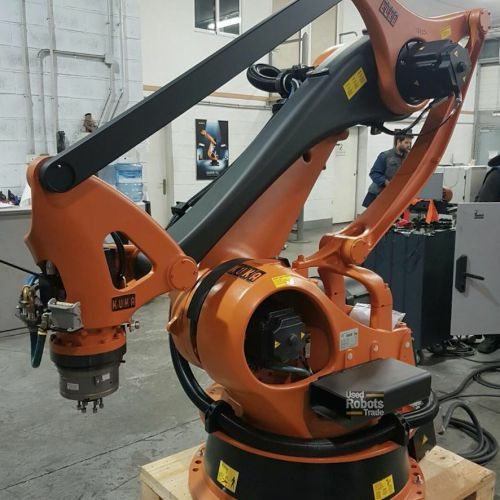 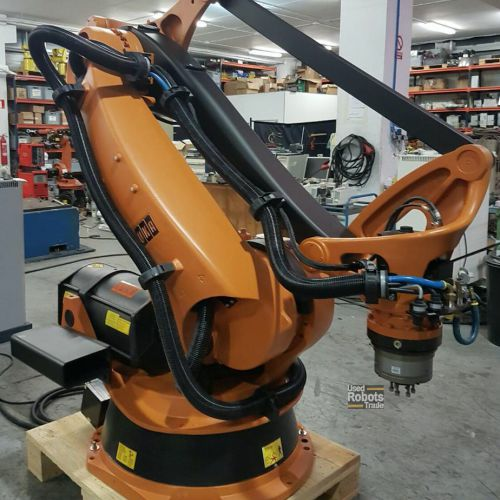 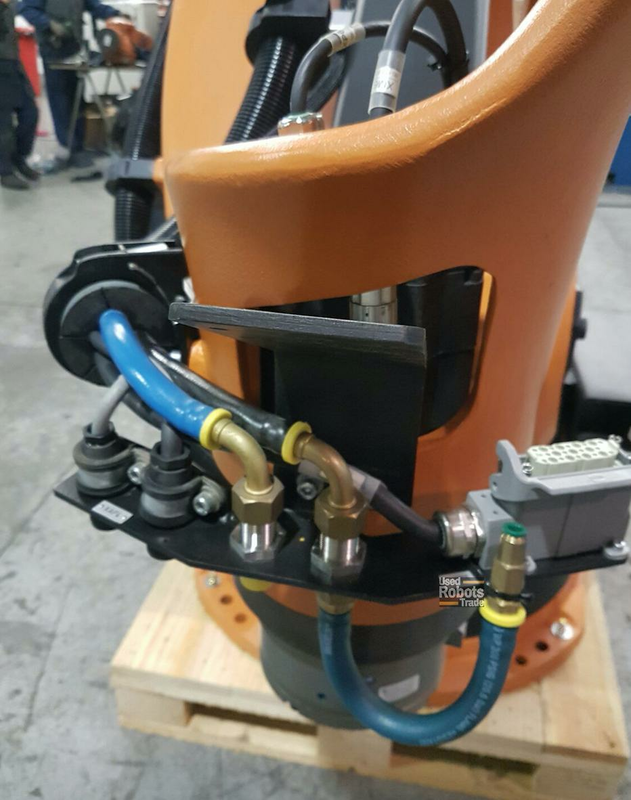 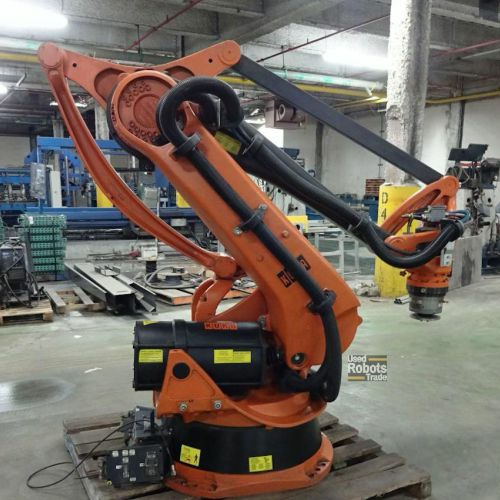 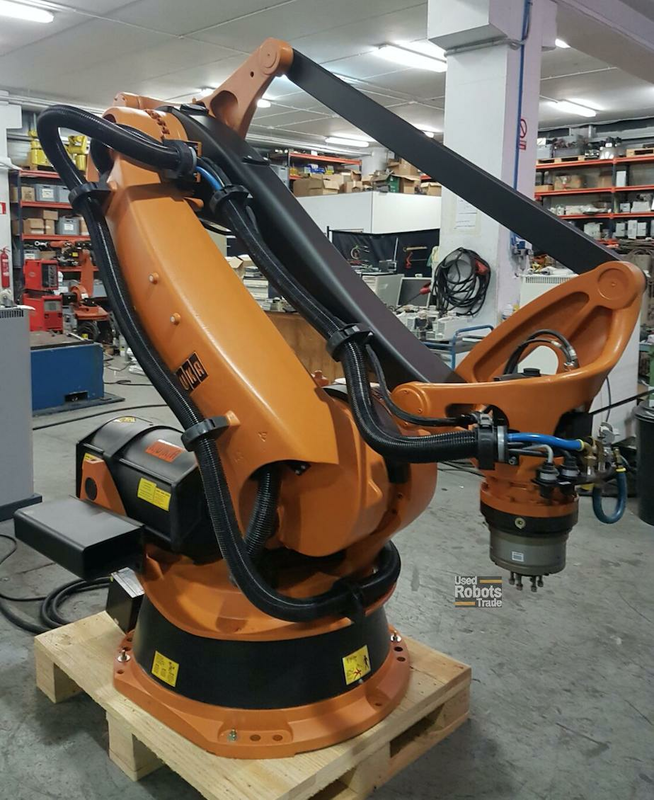 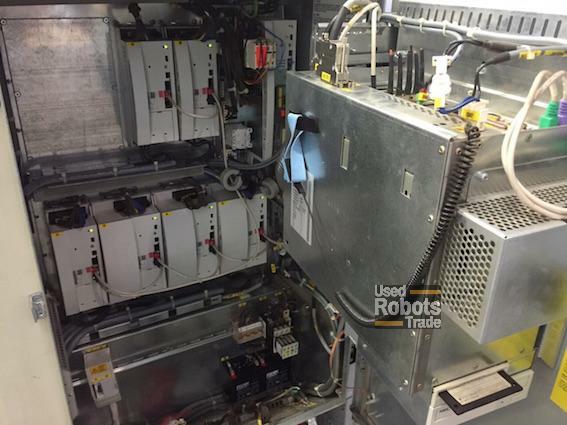 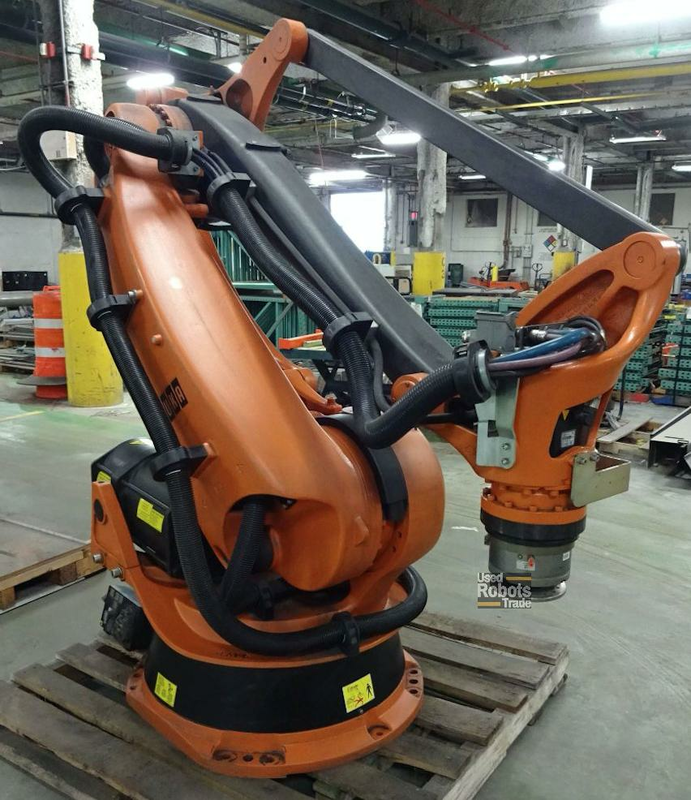 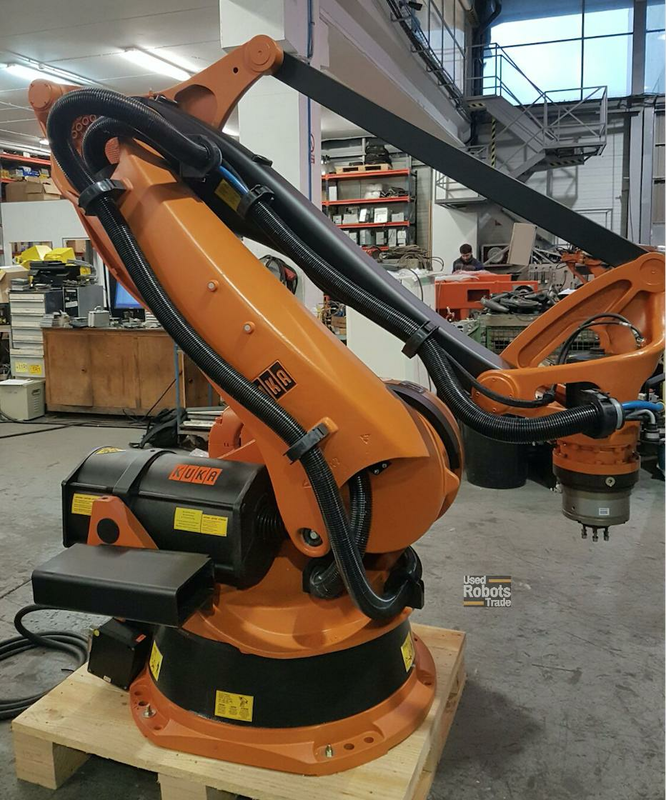 KUKA KR 100PA this is a 4 axis palletizing robot. 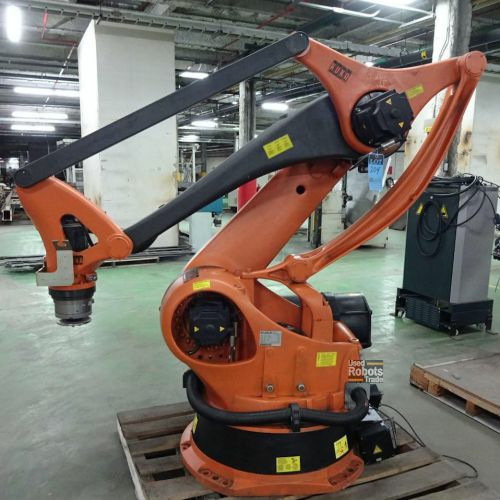 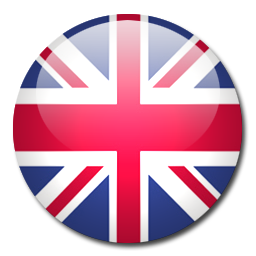 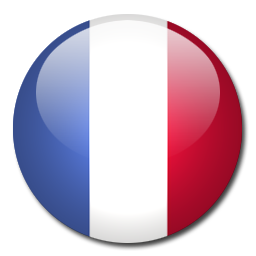 The robot is very fast and has an arm reach of 3200 mm and a payload of 100 kg. 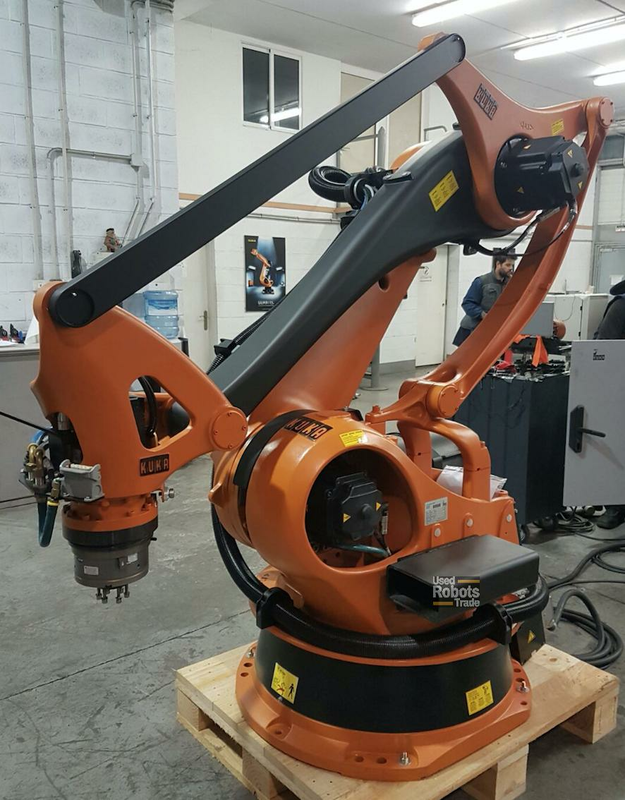 the axis 3 of the arm its made of carbon fiber providing amazing durability. 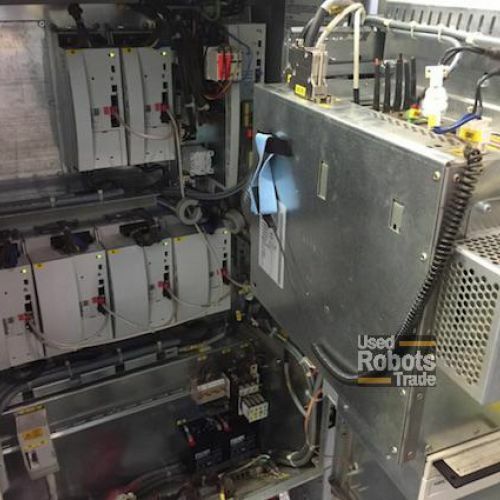 The controller is the famous KRC2 Ed05 cabinet and special palletizing software which importantly eases the programming process.